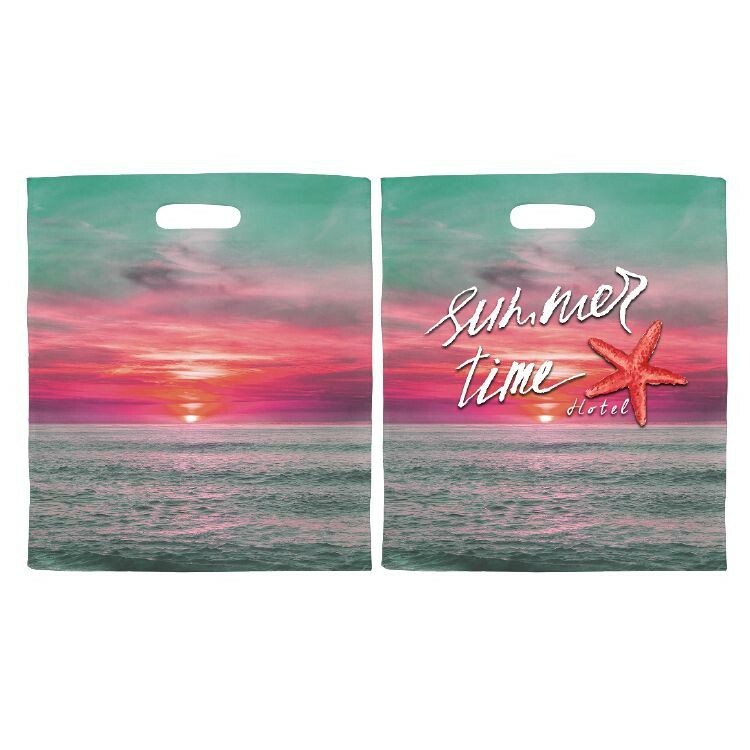 This full color foldable polyester bag looks great when being used. It also looks great when it is folded. 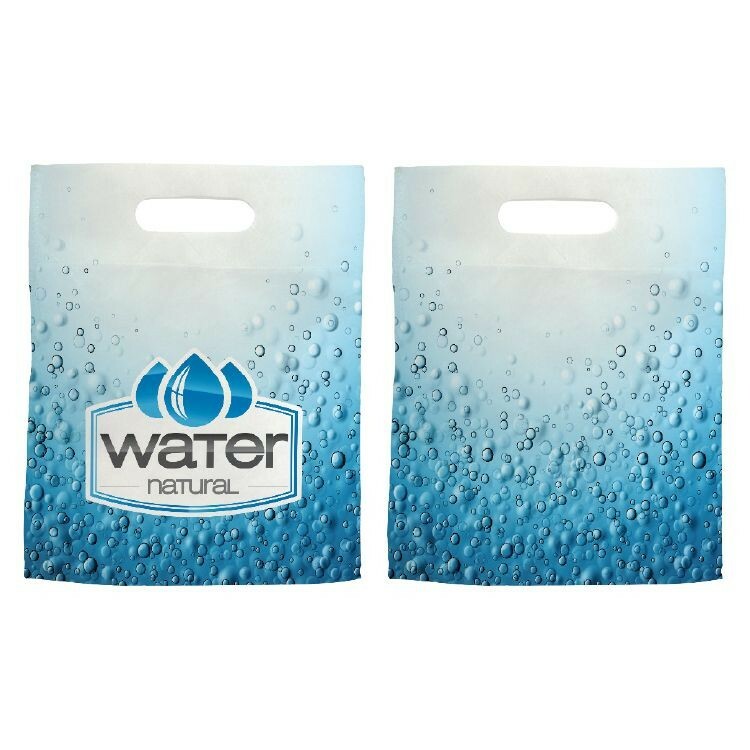 The convenient folding makes it easy to take a group of them to the store, or to hand out at an event for later use. Price is ocean freight from China. Air freight is an upcharge. 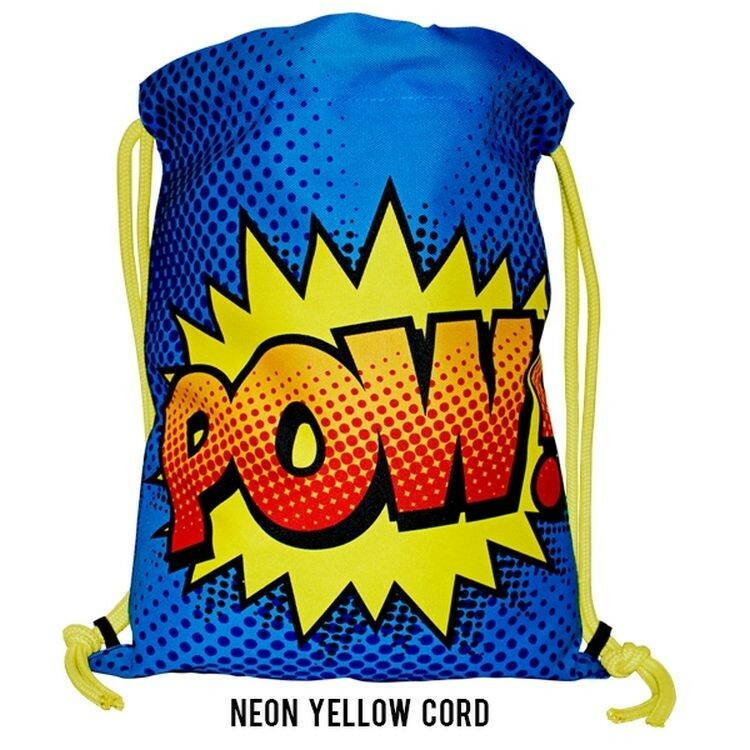 This bag is big enough for shopping. 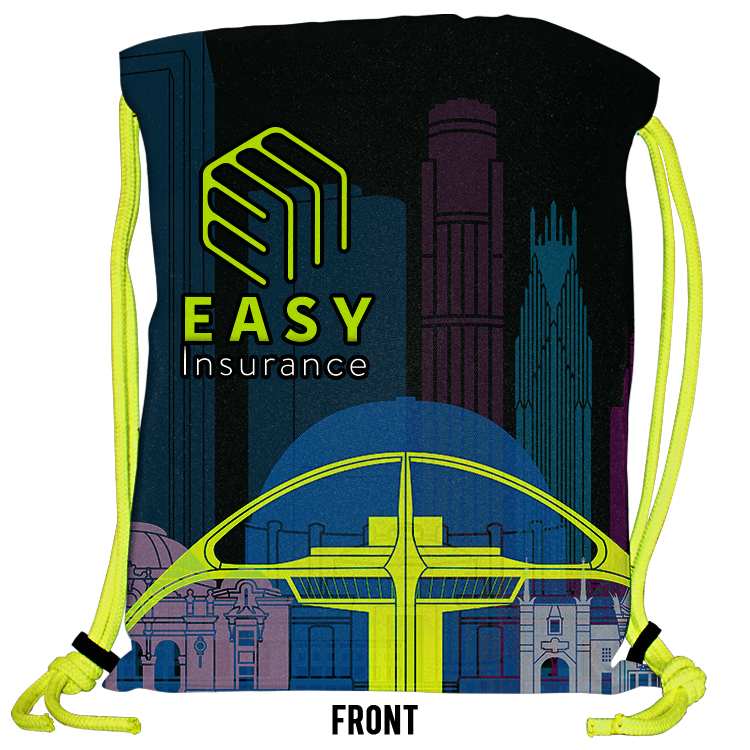 The black trim will make your full color art pop on the front side, while people are shopping with it. We have these blanks here in the USA on the shelf. 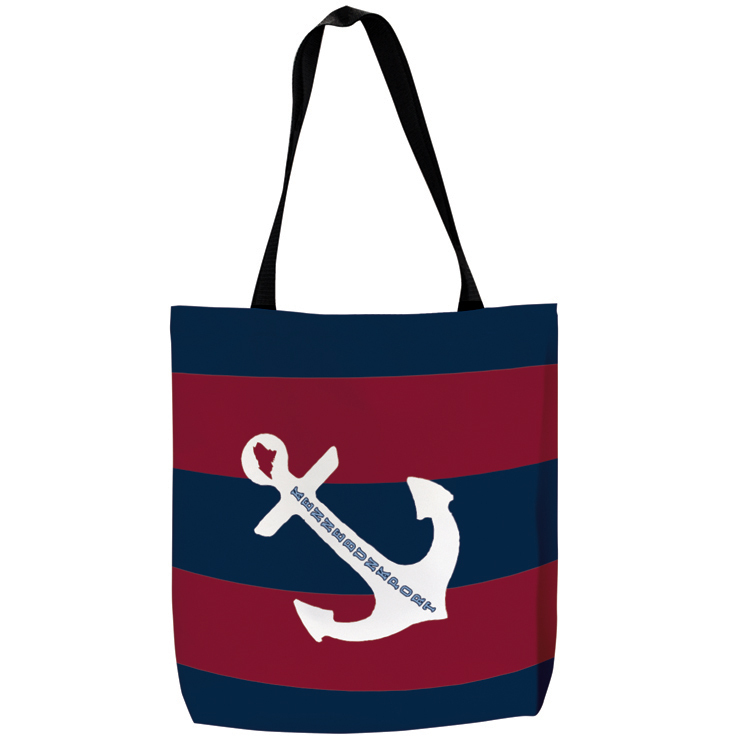 We can print them here when you place your order. 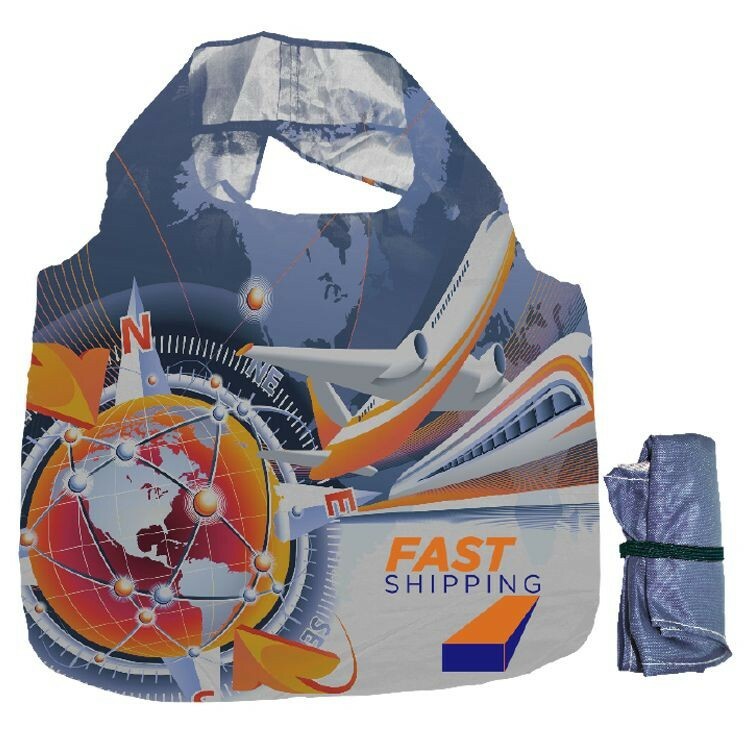 This gives the ability to provide low cost non-woven products, with full color printing, at a low quantity in a reasonable amount of time. 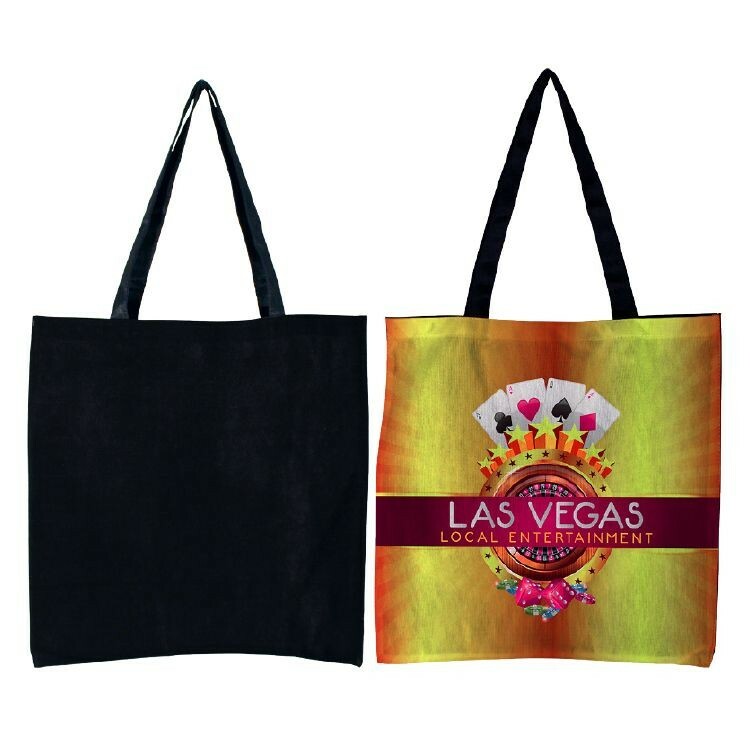 This large tote features full color sublimation on the front side. 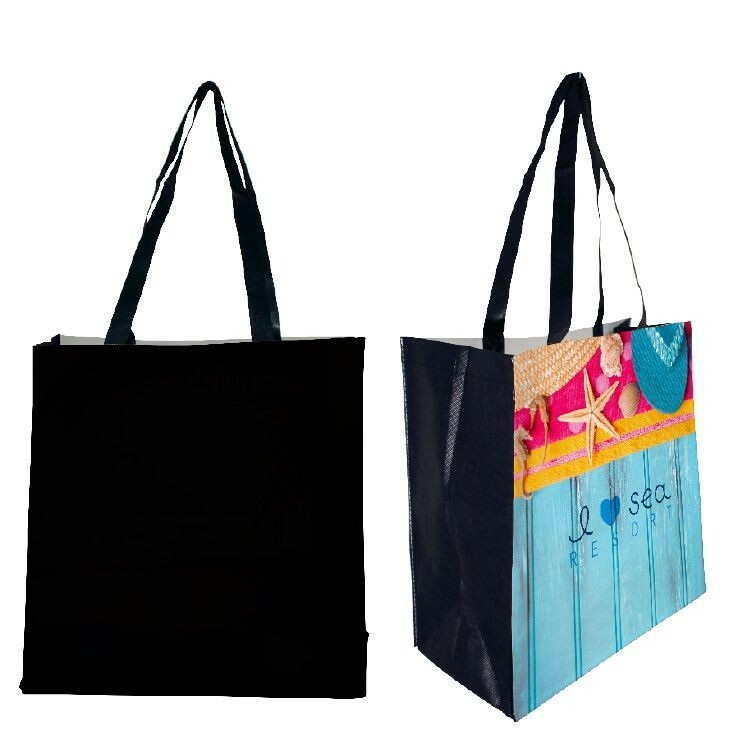 When you need a low cost bag with full color this is a great option. 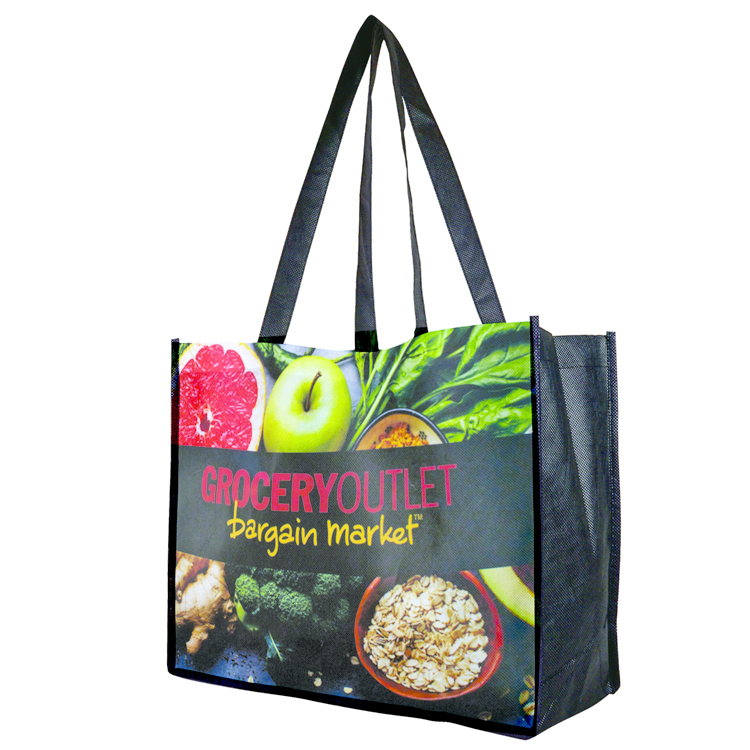 It is large enough to be a grocery bag, so your customer will be sure to see their logo out in the wild. We have these blanks here in the USA on the shelf. 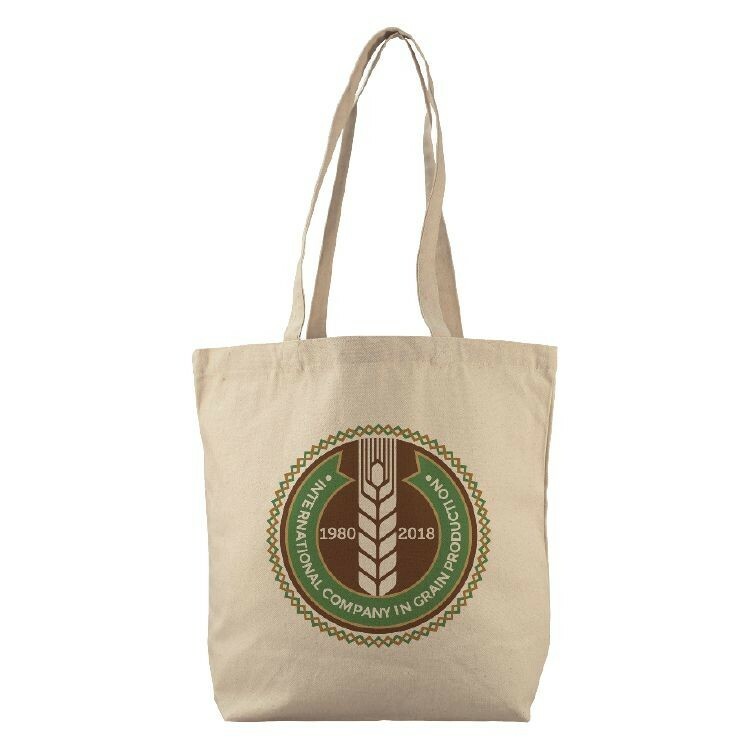 We can print them here when you place your order. 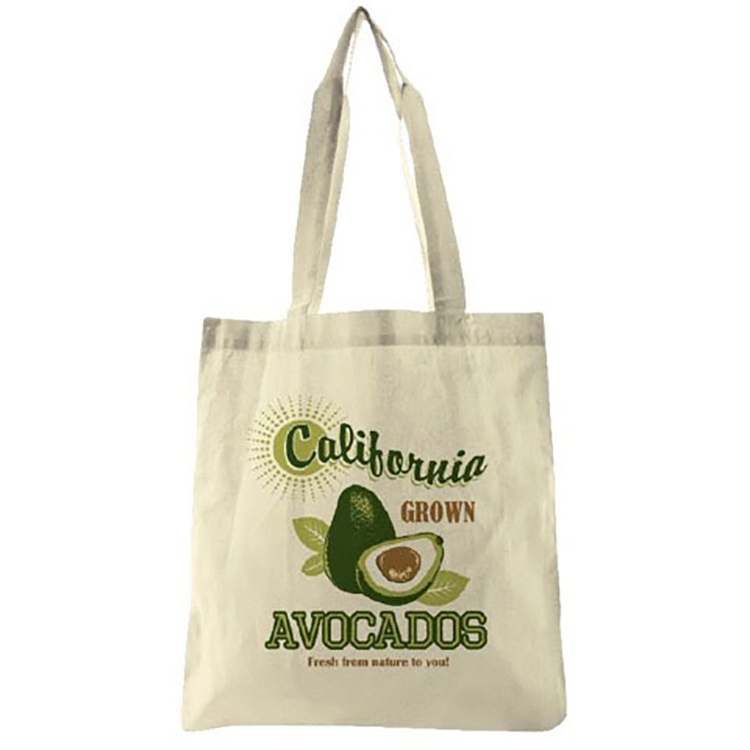 This gives the ability to provide low cost non-woven products, with full color printing, at a low quantity in a reasonable amount of time.